This is a delicious recipe you can serve your family or save for a healthy option when entertaining. It's fresh, sweet and full of flavour. I left out the 'green and white bits' (cilantro and onion) for our kids and they loved it too. 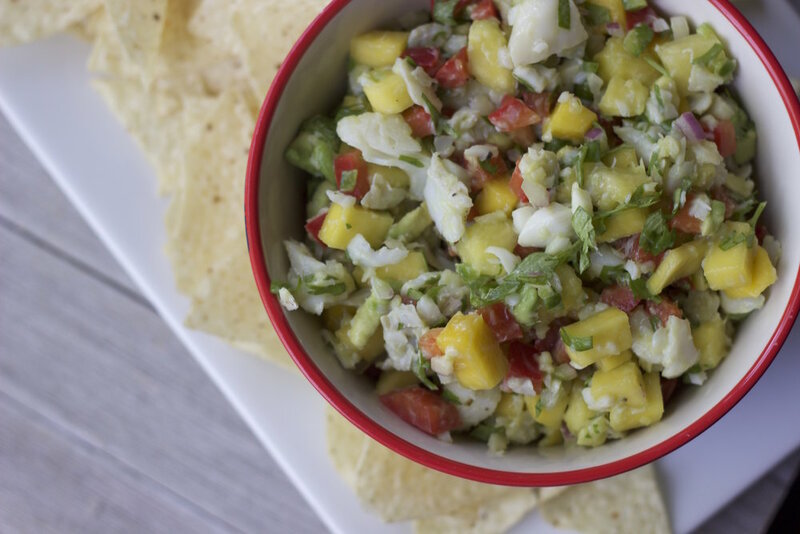 In a serving bowl, combine the prepared mango, bell pepper, onion, cilantro and jalapeño. Drizzle with the lime juice and mix well. Season to taste with salt. Let the salsa rest for 10-15 minutes before serving. Choose your favourite white fish and grill over medium heat until cooked through (7-10 min). We use a frying pan with a tsp of coconut oil. It may fall apart on you but fear not, it'll still taste great. Once the fish cools, flake it into small pieced and add to your salad.